Social Media is a HUGE platform for new artists. It not only allows you to get your music out there, it allows you to bridge that gap between you and your fans, bring you closer to the front lines and get to know them better and allows them to get to know you better. If you're not active and regular on social media , you're missing an important opportunity to expand your audience. People are hesitant about what they should or should not put on social media and that's a good thing because there are some things that just need to be left off your timeline, especially if your purpose is to GAIN fans. Stay away from inflammatory subjects such as politics, tabloid garbage, "personal" details, etc. There is such a thing as TMI. - What Are You Doing??? - Are you working on a new CD? Tweet about it. Are you on the road and discovered a cool new venue? Tweet about it. Did you adopt a rescue animal? Tweet about it, people LOVE animals. - What Is Coming Up? - Do you finally have a release date for your new video? Put it out there. What's next on your tour schedule? Upcoming TV appearance? Talk about it! - Share Interesting Content - It doesn't always have to be music. Did you see a new movie that you really liked? Did you hear a song by another artist that you fell in love with? Share what interests you with your fans. - Retweet, Re-post, Repeat - Simply liking a post isn't getting the word out. If someone tweeted something nice about you, complimented your new song, raved about your latest performance - like it AND re-post it so others can see the positive feedback you're getting. - Ask Questions - Ask your fans what THEY want to hear, ask what their current favorite song by any artist is, ask for ideas. You could get an idea for your next hit single or video just by asking a simple question. You may also find out what fans DON'T like that you're doing which is always helpful and might make you rethink some things. You may even discover that your "team" isn't exactly doing what they should be doing like updating your website, posting as often as they should be, etc. - Fun Stuff - Post funny videos that made you laugh, non-offensive memes, jokes ... make your fans laugh, let them see the not so serious side of you. Brett Eldredge, Mark Wills, Joe Bonsall, and Blake Shelton are some of the best at this and they know how to keep 'em coming back just by making them look twice and laugh. - Recommendations - Thinking about seeing a movie or looking for a new book to read on the bus? Ask your fans for their recommendations. Want to try a new restaurant on your next tour stop? Ask the people that live in that area. 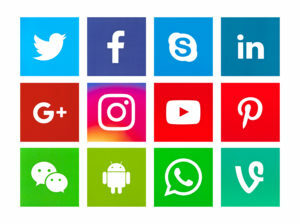 - Likes and Dislikes - Find out what your fans like or dislike about your new single, video, social media account, website, etc. - Snapshots from The Road - People love pictures.They love anything visual and social media is big on visual content. Post pics from the road, pics of you with fans, pics of your new dog, etc. Give your fans the bigger picture. - A Simple Acknowledgement Goes a Long Way - Acknowledge random tweets on your timeline. Respond unexpectedly and make someones day. Thank them for showing off your new t-shirt in their latest tweet, thank them for making the 5 hour drive to see your last show, congratulate them if you see they're celebrating something such as a birthday or birth of a new baby. Show them that it's not all about you. Show them that they matter. - Take Part in Social Media Events - Answer questions in a Twitterview, live tweet from events, etc Facebook Live, Stage It and Periscope are great ways to bring yourself to your audience when they can't physically get to your show or when you just feel like doing something off the cuff. Imagine if Elvis had been able to Facebook Live from the Jungle Room at Graceland or if Merle Haggard just performed an acoustic Stage It show from his couch? - Post Random Thoughts on Life - share quotes, advice or photos that have helped you through rough times. If they helped you, they may help someone else who really needs it. Don't be afraid of social media. It's an advantage that wasn't around for artists until just a few years ago. It can be a machine that can move your career forward rapidly or if you use it wrong, it can move you in the wrong direction. Use it wisely, use it regularly ... just use it to your advantage!